Here’s a great image of Sir. 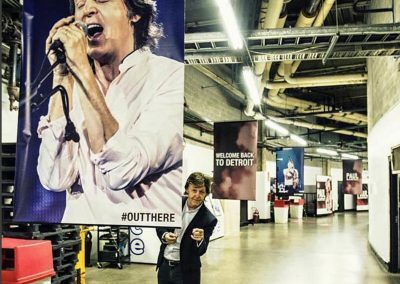 Paul posing with one of our posters at Joe Louis Arena in 2015. 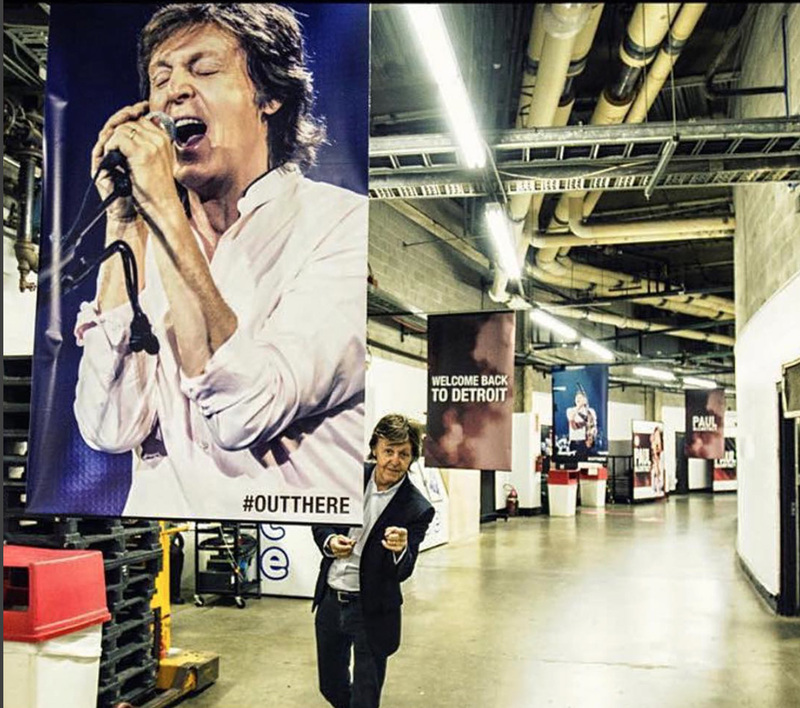 The hallways leading to the dressing rooms were decorated with hanging posters, floor and wall mounted graphics welcoming this legendary artist to Detroit.